In the mid-1990s, I met Paul Ryan when he was young Jack Kemp acolyte working for Empower America … He was fearless, strategic and determined. After he became one of the most powerful people in the nation, however, Speaker Paul Ryan did nothing on immigration except to front for President [Donald] Trump’s nativism. The old Paul Ryan believed immigration was central pillar to the American experiment. “He is an outlier,” Levin said of Ryan’s personal views, which are more moderate than those of the immigration hawks dominating the current immigration conversation. But he’s shown a willingness to give hardliners airtime on the issue. … he’s also been dovish at times. He supported an early version of a comprehensive immigration push from Sens. John McCain (R-AZ) and Ted Kennedy (D-MA) that would have created a path to citizenship for nearly 12 million undocumented immigrants. 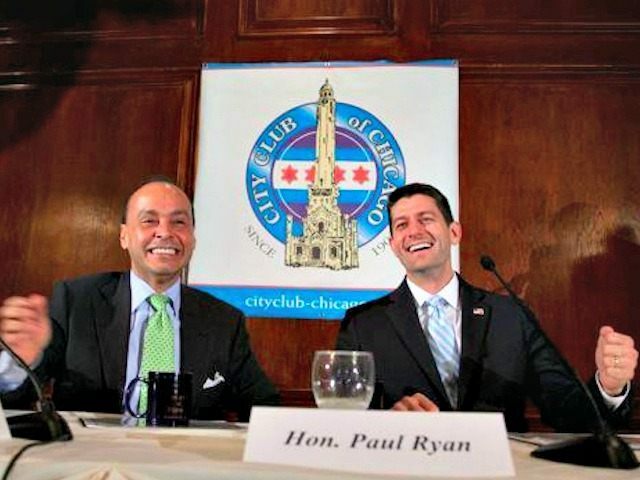 And in 2013, he stood with Rep. Luis Gutiérrez (D-IL), among the most progressive immigration activists in the House, on a stage in Chicago to support a pathway to citizenship. Ask Gutiérrez where he places Ryan’s personal position on immigration today and he says he can’t. I want to share something… I saw Paul— Congressman Ryan— and we were talking. 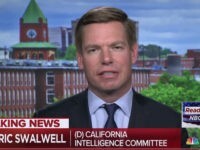 And he— I just want you to know that when he worked for Kemp, and he was a staffer there, they were against Proposition 187 in California. I want you to know— because people think, ‘Oh, he just showed up lately on the scene on immigration’— No, he has a history on this issue. And I want you to know that in 2005 when [Jeff] Flake and I introduced comprehensive immigration bill… and Kennedy and McCain was the first bipartisan, bi-cameral bill… Paul Ryan was an original cosponsor of comprehensive immigration reform. And I want to share one last thing with you. There was a day that we were in his office, and I’ll apologize to him later, and he said to me, ‘Well, Luis, I don’t want to do it because it’s the political thing to do, I want to do it cause it’s the right thing to do.’ And he said, ‘You know, you and I are Catholics and our Catholic values do not allow us to create a permanent underclass.’ And you know what? My heart soared that day. I mean I could walk so much easier that day. I felt strengthened that day by his words. But Ryan’s push for amnesty, greater immigration and even for the “any willing worker” proposal that would allow American companies to free hire foreigners instead of Americans, has repeatedly been blocked by the public’s love for their own country. He could have been a leader who put his party on the right side of history. Instead, the non-racist, pro-immigration libertarian of yore yielded to the party hack intent on kissing Trump’s ring and advancing a radical restrictionist agenda. How sad. How cynical. No one in the GOP was better equipped, by position and disposition alike, to resist Trump’s racially infused, insular nationalism, or to define a more inclusive competing vision for the party. Instead, Ryan chose to tolerate both Trump’s personal excesses and his racially polarizing words and deeds as the price worth paying to advance Ryan’s own top priorities: cutting spending; regulations; and above all, taxes. The result was that Ryan, more than any other prominent Republican, personified the devil’s bargain the GOP has signed with Trump. Immigration is among Ryan’s biggest political vulnerabilities in the Trump era of Republican politics. 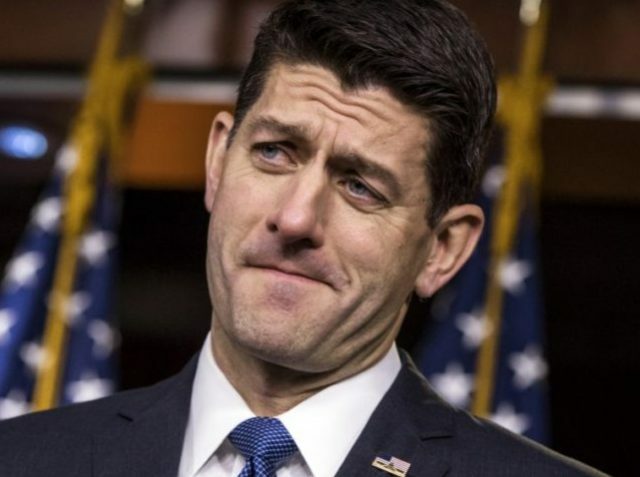 His own views, often said to have been shaped by his mentor Jack Kemp — the pro-immigration New York Republican whom Ryan worked for early in his career and with whom he remained close until Kemp’s death in 2009 — are in stark contrast to the hardliner views espoused by the White House. A lifelong advocate of relaxed immigration laws, Mr. Ryan did little to stop the hard-liners who backed Mr. Trump’s crackdowns and pushed for his wall on the southern border with Mexico. But Ryan’s support for small government and mass immigration was always an impossible contradiction for a nation that wants to be a middle-class society. The contradiction is made clear by the decline of mass-immigration California, whose sunny optimism has been replaced by growing economic divides, a winner-take-all economy, broadening “diversity” and civic fractures, rising homelessness, declining education levels and record levels of middle-class emigration. The 2016 election showed that American voters know Ryan’s cheap-labor policies would impose that disaster on all of the United States — and also on all of their children. That’s why a populist real-estate developer and TV showman has eclipsed lifetime policy-wonk Ryan as the GOP’s leader.